Levolution is formally proposed in the book as the Fourth Law of Functional Order, where Functional Order is the entropically functional pattern in energy flow that is created by all dissipative structures. These patterns in energy flow speed up the flow of energy, and that is the main project of the energy in the universe. Dissipative Structures, for which Ilya Prigogine won the 1977 Nobel Prize in Chemistry, is the First Law of Functional Order, and provides the target energy flow schematic for a thermodynamically ideal form. It also provides for discreteness, and opens the door for variation and occcurance in populations, both of which are important attributes. Dissipative Structures create Functional Order. This is the only way known to science that entropically functional order may increase and still be spontaneous. That is how important it is. The (not so recently) proposed Maximum Entropy Production Law, the proposed Fourth Law of Thermodynamics is a "selection of energy pathways" principle. It says that energy selects, and I would say it also allocates itself to, available pathways that take energy lower in potential at a faster rate. The MEP Law is the contribution of Rod Swenson. These two relatively new laws are, in the book, logically combined into the Second Law of Functional Order, which is Thermodynamic Natural Selection. This phenomenon underlies all the forms of natural selection, even Darwin's version. It acts as an emergent process, and only on a population or set of discrete dissipative structures, and only where there are variations among the set that are acted upon by differential demise, or removal from representation in the future. 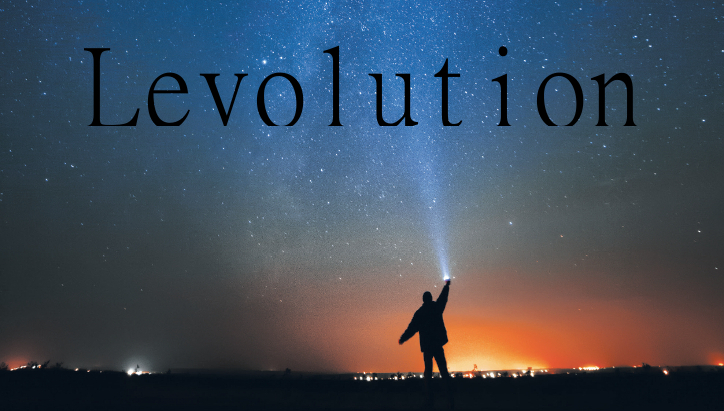 The reason that Levolution has the characteristics of a revolutionary paradigm is its scope. The scope of the process comes from the fact that it is really about as fundamental as thermodynamics, and is import to considerations of the first moments in the universe, a universe characterized by a single batch of energy at a point. Levolution is consistent with the idea that most of the laws of nature in this universe are very much operable at the very beginning. The reason that Levolution is probably going to change science in some major way is because it has a certain logical consistency and tendencies of unification among disciplines, that both serve to make it seem likely true. Science never pronounces something as true, but until disproven, things tend to stand and some even gain consensus. The revolution anticipated will force cosmology and particle physics to recognize that the early particles are dissipative structures. They essentially have to eat some form of energy. Following energy through its consumption and degradation into various forms, and use in building functional order among successive levels of organization is what has led to most of the new ideas that have emerged with Levolution.